These mallets are designed to the specifications of leading marching percussion specialist Jim Casella. This series has been designed to meet the demands of both the indoor and outdoor marching percussion ensemble. Each of the three marimba models features rubber cores with added weight for maximum projection and the warmest fundamental tone possible. The specially designed synthetic yarn offers a full, warm sound characteristic with proven strength and durability. The three vibraphone models, featuring rattan handles, are constructed with rubber cores in a variety of shapes and weights to extend the dynamic range of the instrument. Tightly woven multi-ply synthetic cord results in increased articulation and durability for maximum clarity and projection in both indoor and outdoor venues. The xylophone mallet features rattan handles and an extra large ball to produce a full, dark tone with maximum projection. 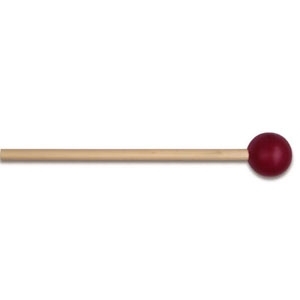 This extensive line of specially designed indoor/outdoor mallets offers the marching percussion ensemble the most extensive variety of timbres available today.